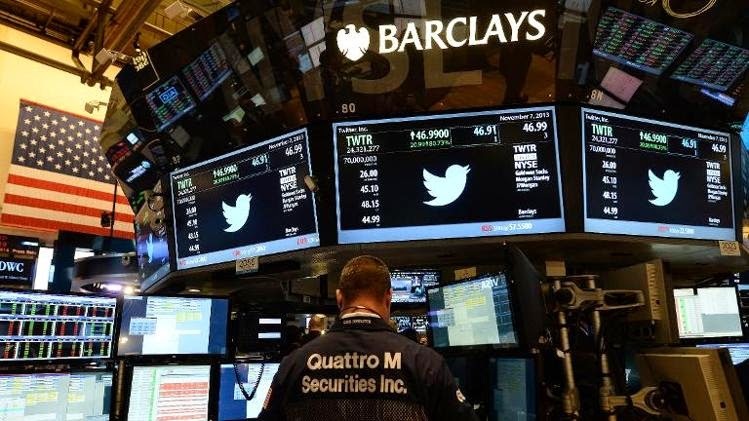 After the presentation of its results, Twitter has not convinced the financial markets despite prospects bode well. The share price has plunged before resuming a few colors. Basically, Twitter results are not bad, but not great. Two parameters in particular disappointed analysts. First: the number of new users. Twitter announces 255 million monthly users end of March, up 25% on year and 5.8% in December. Good, but could do better! The second figure is displeased net loss: 132,36 million dollars in the first three months of the year, when it was 27 million a year earlier. Apart from these two disappointments, Twitter has something rather keep smiling because prospects are good. For example, earnings per share is nil, while analysts expected a deficit of 3 cents per share. In addition, the turnover of the first quarter of 2014 (250.49 million dollars) more than doubled in a year (114.34 million in 2013). Better: it greatly exceeded expectations, which were at $ 241.4 million. As for advertising revenue, they are also increasing for a year of 125% to $ 226 million. Another sign of satisfaction: 80% of these revenues come from mobile, which is normally seen as a very good sign for the future, investors and advertisers. Despite these many positive signs, however, Wall Street punished the stock title, which fell nearly 10% to about 38 dollars in after market trade. Today, the stock has perked up and is again on the rise, exceeding $ 42.60.